Fielding phone calls regarding potential household toxicants and caring for animals experiencing related symptoms is a common part of both emergency and general practice. During any potential case of toxin ingestion or exposure, the first step is to obtain as much information as possible about the patient’s exposure history, including the nature of the substance, route and time of exposure, amount ingested and the weight of the animal. In the case of exposure to less common over the counter products and human pharmaceuticals, the owner can be encouraged to contact the ASPCA Animal Poison Control or the Pet Poison Helpline in order to determine whether medical attention is necessary. A brief summary of any past pertinent medical conditions and current medications should also be recorded at initial presentation to determine if there are potential medication interactions or a predisposed sensitivity. Once this information is known, the next step is to decide which method of decontamination is most appropriate, then initiate treatment with supportive therapies and applicable antidotes. Disruption of gastrointestinal absorption via administration of activated charcoal and cathartics. Activated charcoal at an initial dose of 3-5 g/kg can be administered in certain toxicities in order to bind the active ingredient. Subsequent doses of activated charcoal without a cathartic should be administered at a dose of 1-3 g/kg every 6-8 hours if the toxin consumed undergoes enterohepatic recirculation. 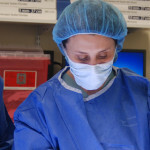 If the animal’s preexisting conditions place them at an increased risk for aspiration. 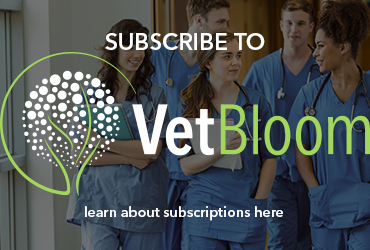 Emesis induction in feline patients and animals with a documented history of cardiovascular disease is often best performed at the time of presentation. Client use of other household emetics, such as salt and syrup of ipecac, should be discouraged due to potential for electrolyte derangement and cholinergic effects, respectively. The most commonly used agent to induce emesis in canine patients upon presentation is apomorphine, a non-selective dopamine receptor agonist which acts centrally within the chemoreceptor trigger zone to induce nausea. 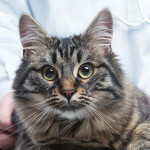 While generally well tolerated and effective in the canine patient, apomorphine is not recommended in cats due to its lack of efficacy and potential for CNS agitation. 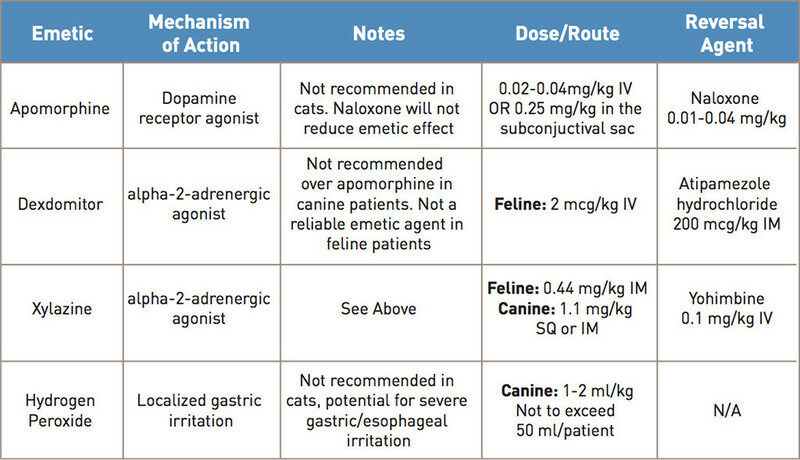 The dose, form, and routes of apomorphine, as well as examples of alpha-2-adrenergic agonists that can sometimes produce emesis in feline patients, are noted in table 1. Gastric lavage is typically considered in cases where induction of emesis is highly warranted but either cannot be attempted, or has failed. The desired removal of caustic or corrosive substances is not an acceptable indication for gastric lavage. The cons of lavage include the associated risks of anesthetic complications, as well as the potential for aspiration pneumonia and sodium disturbances. The patient should be intubated and 5-10 mL/kg of tepid water should be infused and removed – this can be repeated until the lavage fluid obtained is clear or devoid of toxic substance. In the case of dermal exposure to corrosive substances (such as hydrofluoric acid, commonly found in rust removers and automotive cleaning products), insecticides (including oil-based pyrethroids) and petroleum based products such as paint solvents, the patient should be bathed multiple times with a mild dilute dishwashing detergent if necessary. Bathing may further reduce rectal temperature in cases of patients with shock, and appropriate heat support should be provided. If there has been contact with the ocular area, the eyes should be ﬂushed with saline or lukewarm tap water for 20-30 minutes. Mild sedation may need to be administered, and the patient may only tolerate this procedure for smaller 10-15 minute increments. A ﬂuorescein stain should be performed both immediately following decontamination as well as 24 hours later to ensure the cornea remains intact. Natural Hair Dyes: Henna, derived from the plant lawsonia inermisand widely used as a dye in hair, skin, clothing and cosmetic products, has been shown to cause azotemia and hemolytic anemia in a number of species, though there have been few documented cases in companion animals. A 2013 case report details a hemolytic anemia in a dog following the ingestion of henna based hair dye, which contains the active ingredient b2-hydroxy-1,4-naphthoquinone. Clinical signs included weakness, vomiting and diarrhea. Bloodwork revealed renal tubular damage characterized by glucosuria and proteinuria as well as a regenerative anemia. Extended testing did not reveal any ﬁndings consistent with an autoimmune driven anemia. The canine patient in this case report was treated supportively and survived to discharge. The mechanism of action of toxicity is currently unknown, and theories in human medicine speculate that pre-existing erythrocyte abnormalities may make a percentage of the population more vulnerable. Alternative formulations of natural hair dyes containing Lawsonia inermis include those with the additive paraphenylenediamine (PPD), a darkening agent. In human medical literature, toxicities involving ingestion and application of dyes containing PPD have been characterized by increased levels of toxicity and additional neurological symptoms. Potpourri and Essential Oils: Potpourri is a mixture of dried leaves and oils that can also be purchased in liquid and aerosol form. The cationic detergents and essential oils found in potpourri and similar items have the potential to cause marked contact dermatitis, mucous membrane ulceration and ocular injuries in domestic animals. The most common route of exposure in cats is oral and occurs when patients lick the leaves or oil. Previously reported toxicities involving essential oils in cats were largely limited to tea tree oil derived from Melaleuca alternifolia, which causes hypothermia, ataxia, generalized muscle tremors, alterations in mentation, coma and death. The ingredients in different varieties of potpourri vary, and typically include a mixture of quaternary ammonium compounds and essential oils. The essential oil itself can contain a combination of fat soluble alcohols, aldehydes, esters and other complex hydrocarbons. Their fat soluble properties allow them to be easily absorbed through tissue, resulting in caustic burns when exposed to skin and mucous membranes. Clinical signs of potpourri exposure in feline patients include ptyalism, lethargy, anorexia, dysphagia and gagging. Physical exam findings include lingual and oral ulceration, oral pain and evidence of oil staining on the patient’s coat. Treatment is mostly supportive and typically consists of fluid therapy, pain management, as well as antimicrobial therapy to prevent development of secondary bacterial infections within the oral lesions. Pain can be managed on an outpatient basis via administration of sublingual buprenorphine at a dose of 0.01 to 0.04 mg/kg every 8-12 hrs. If able to tolerate oral administration, decreased appetites may be supported by administration of the tetracyclic antidepressant Mirtazepine at the dose of 1.88 mg to 3.75 mg/cat every 72 hrs by mouth. If lingual injuries are particularly severe, or the patient’s anorexia does not respond to appetite stimulants and pain management, patients may require more advanced nutritional support in the form of nasoesophageal or esophagostomy tube placement. Pyrethroid toxicosis: Pyrethrins are organic esters isolated from the flowering portion of Chrysanthemum cinerariifolium. These isolated compounds are used in the manufacture of synthetic pyrethroid products that include flea collars, sprays, shampoos and topical applications intended to repel fleas and ticks. As a result of their ability to bind to gated sodium channels within nervous and muscle tissue cells, pyrethroids cause the influx of sodium into the cell, which increases and prevents depolarization. This leads to repetitive ﬁring within these cells, culminating in clinical signs including generalized muscle tremors, hyperthermia, ataxia, hyperesthesia, mydriasis, seizures and occasional gastrointestinal signs. Severe tremors can cause muscle damage and can result in myglobinuria. Toxicity often occurs when pyrethroid products intended for dogs are mistakenly applied to cats. The onset of clinical signs usually occurs within 12-72 hours. Pyrethroids are fat soluble and rapidly metabolized. A minimum lethal dose has not been established for feline patients. It has been noted that cats exhibit an increased sensitivity to the effects of pyrethroids due to a decreased ability to hydrolyze esters as well as a deficiency in glucuronidase transferase. Treatment consists of initial decontamination via bathing with dilute dish detergent to remove topical products, IV ﬂuid therapy and control of tremors via administration of muscle relaxants such as Methocarbamol that can be administered IV at a dose of 50-150mg/kg and not to exceed 300 mg/kg/day. Diazepam does not work as effectively to reduce tremors. Patients can also experience rapid changes in body temperature as a result of ongoing tremoring and bathing, and require close monitoring. Intravenous lipid emulsion therapy has recently been successfully utilized in cases of pyrethroid toxicity and may reduce the duration of the patient’s hospitalization. Table 2 (below) features examples of commonly prescribed products, as well as those that are intended only for canine patients.